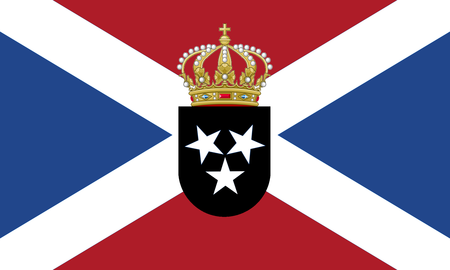 The Portuguese settled the Azores, some 900 miles west of Lisbon, in the 1400s, and now a quarter million people live in this autonomous territory of Portugal, where the scenery includes thrilling views of the sea, old volcanic peaks, quaint fishing communities, verdant farmland and azure hydrangeas. These nine islands draw visitors who enjoy fishing, surfing, hiking and viewing the occasional whale. The Gulf Stream ensures a perfect climate for outdoor activities any time of the year. The largest of the Azores is São Miguel, and it is here that two of the archipelago's three courses are to be found. 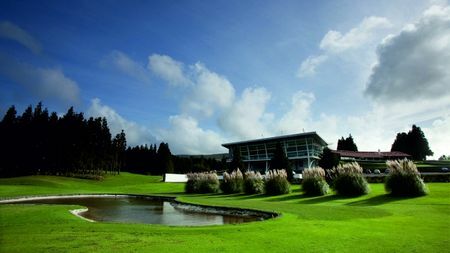 The Furnas Golf Club makes the most of the surrounding volcanoes and lush tropical forest. The original 9 were created here in 1936 by MacKenzie Ross for the private use of a tycoon, and another 9 were added in 1992 by the team of Chris Powell and Bob Cameron; the club is now open to the public and features a welcoming, English-style clubhouse. 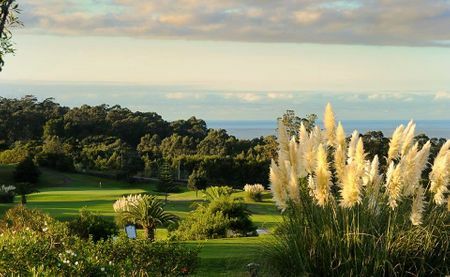 The other layout on São Miguel is Batalha Golf Course, which opened in 1986 just outside the capital of Ponta Delgada. Cameron and Powell were the architects here as well, and they have created 27 holes that offer stunning ocean and mountain vistas. That third Azores course is located on the island of Terceira, on the site of an old US Air Force facility; its original 9 holes were brought up to a full 18 in the mid 1950s.